I had numerous audiobook options in my Audible wishlist. I finally chose this title due to the great reviews and then I hunkered down to enjoy it. Didn't happen. Firstly, the performance is not up to par. I could not tell any difference between characters, all the males sounded alike and all the females sounded alike. This meant that I had to concentrate really hard to keep up with the story. Sometimes, I could not even tell if the characters were speaking or not because there were parts of the story where the narrator's voice did not alter. Secondly, the story was just not interesting to me. 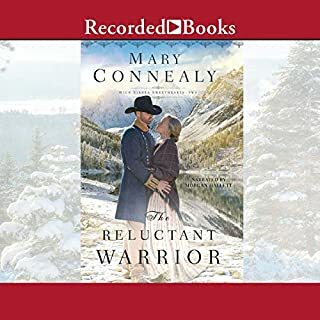 I have enjoyed Mary Connealy's books several times before, but I just could not sync with this story. I was, basically, bored. Perhaps the poor narration was a factor in this. Truthfully, I have gotten three hours into the book and I have no desire to continue. It's a disappointment that I wasted a credit on this story, but...c'est la vie. I listened to this book entirely while preparing my classroom for the upcoming school year. From the very first chapter, I was hooked. The characters became so vivid to me that I cried when some of them passed away. My heart also celebrated with them at their victory feast and I felt angry at the unexpected cruelty of the Chinese upon their Allies. 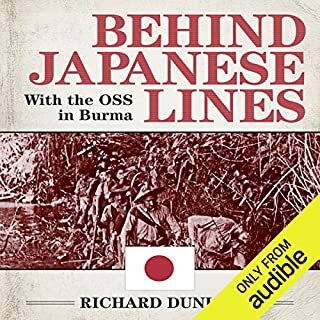 It is an amazing piece of history with narratives from multiple sources and perspectives woven together to make an amazing tapestry of this little known history which was vital to the overthrow of Imperial Japan.